The library has a rich collection of books on Anatomy, Physiology, Biochemistry, Pharmacology, Microbiology, pathology, Forensic Medicine, Community Medicine, General Medicine, Skin & VD, TB & Chest, Psychiatry, Pediatrics, Surgery, Orthopedics, ENT, Ophthalmology, Obstetrics & Gynecology, Radiology and Anesthesiology and Medical Sciences. The collection includes reference books, text books, CDs etc. We are constantly in a process of increasing our collection of books further. C.U.Shah Medical College library is also subscribing research journals in printed as well as electronic formats. E-journals available with various online healthcare databases such as ej-server database, online access with subscribed print journals and many other open access database can be accessed. The library has centrally air conditioned three reading hall and remain open 24/7 hours. Library provides internet service with high-speed broadband Internet connectivity. 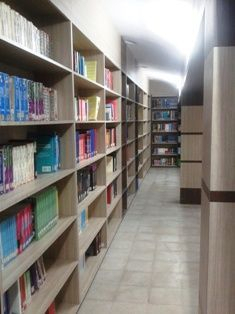 Central library contains more than 15800 books of text, reference and general books; 2400 Back volume of Journals; 742 audio visual resources; it subscribes 08 news papers and 05 magazines of Gujarati, Hindi and English Language, more than 117 national international journals and also available back volume of journals since 2000. The Library has been automated by user-friendly library management system. The Software facilitates automated circulation (Issue-Return) of books and speedy access to availability information of the books. Software is being maintained and updated regularly. Central library has a good team of professionals and supporting staff. Library Advisory committee (LAC) constructed for development of Central Library as well as Departmental Library of C.U.Shah Medical College. The library system has been managed and administered by the Committee under the supervision and control of the Dean with the approval of Management.